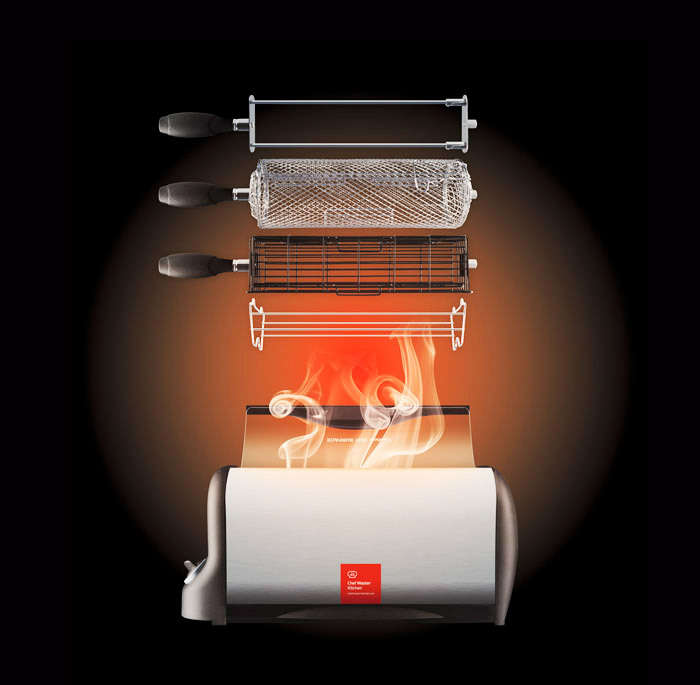 The Smart Rotisserie ™ oven allows to cook dozens of delicious recipes effortlessly. Thanks to its rotation system and its timer, you’ll get spectacular results cooking juicy meats, roasted chicken, crispy chips and much more. The included accessories will help you to make the most of this useful rotisserie oven. Made of quality materials: aluminium interior with removable grease tray for convenient cleaning, and glass and resistant plastic door. Elegant, compact and easy to clean, Smart Rotisserie will become your essential ally in the kitchen.